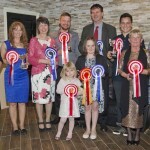 Over one hundred members and friends of NICDA, including representatives of the British Driving Society (NI) Branch and the Horse Sports Ireland-Carriage Driving Section, joined together on Saturday 10th October at the Bannville Hotel, Banbridge to celebrate the end of the 2015 driving season with a Dinner Dance and Distribution of Awards. Following a welcome from the Club’s President; Gordon Bell, the evening commenced with a lovely Dinner before awarding the cups and trophies to the successful Champion and Reserve for each class in the Points League. 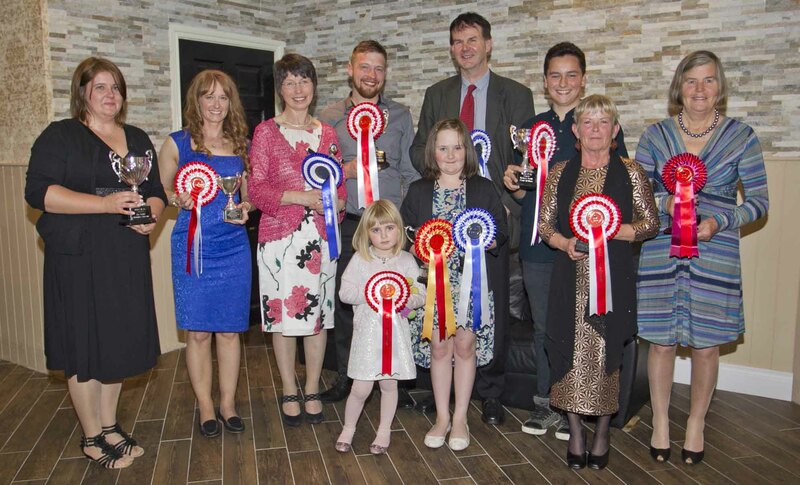 In addition, special trophies were awarded to the highest Overall Novice and Open class winners, an up-and-coming Junior Whip as well as an Encouragement Shield, which is awarded to a newcomer to the sport who had shown promise without being a class winner. A beautiful silver Friendship Quaich was also presented by Mary Bryson, from Scotland, who with her late husband Bill have had a close association with the club over many years. This Quaich is awarded for the highest average dressage score, alternating each year between the Novice and Open classes. Finally all members of the club voted, on the night, for the Sports Personality of the Year, which is awarded to someone who had demonstrated commitment and hard work on behalf of NICDA during the current year. On conclusion of the award presentation, everyone demonstrated their dancing skills to a live band of three talented young musicians; Mark, Rory & Ben “Major Third”. All in all, a thoroughly enjoyable evening was had by everyone, culminating a great year of horse driving trials. “For sale… BILBO (10hh) c/w his carriage / harness.